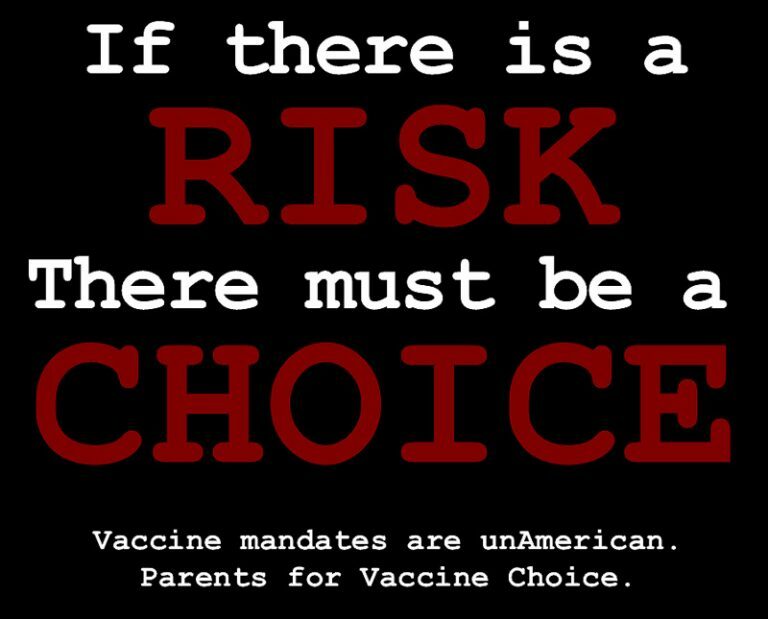 A recurrent anti-vaccine slogan that activists use to claim strong immunization mandates should not be passed is “when there’s a risk there must be a choice.” The slogan is wrong generally, and even more wrong in this context. Let’s take a look at it. Not all risks are equal. And when the risks are clearly bigger on one side than the other states can and do impose requirements that impose the smaller risk while preventing the larger. For example, each year people are harmed from seatbelts in the United States. But the state mandates them – because they save many more than they harm. The risks are smaller than the benefits. For example, surgery carries risks. But a court can order life-saving surgery over parental opposition, in appropriate circumstances (e.g., In re Phillip B., 92 Cal. App. 3d 796 (1979) and here). Also, while courts don’t always go this way, a court can order chemotherapy for a child with cancer over parental opposition, although chemotherapy is not risk free. Antibiotics carry a small risk of an allergic reaction. But a court can legitimately order antibiotics be given to a child with bacterial meningitis. Because the risk on the other side is larger. [a parent] cannot claim freedom from compulsory vaccination for the child more than for himself on religious grounds. The right to practice religion freely does not include liberty to expose the community or the child to communicable disease or the latter to ill health or death. (See Prince v. Massachusetts, 321 U.S. 158, 166-69 (1944)). The above strongly suggests that states can actually require that parents vaccinate their children, period. But in the United States, no state does. States use, instead, the less coercive tool of school immunization requirements. School immunization requirements without non-medical exemptions tell parents that if they want their child to attend public (or private, in virtually all states) school they need to vaccinate the child. In other words, they give parents a choice between protecting the child from disease and keeping the child at home. It’s not an easy choice for many families that have been scared and misled by anti-vaccine misinformation. Some families may find homeschooling difficult, practically or financially. But it’s not as coercive as criminalizing non-vaccinating or coming to a home with police to vaccinate. It can be a very hard choice, but it is a choice. Furthermore, a parent that sends an unvaccinated child to school is no longer deciding only for their child. Their child is no longer the only forced to bear the risk of infectious disease. The parent is forcing a risk on other children and their families, as well as on school personnel. First, directly, because the vaccine-deprived, unprotected child is much more likely to get an infectious disease if exposed, and may then transmit it to her peers (or they are too young to vaccinate newborn siblings, as parents pick up their children). 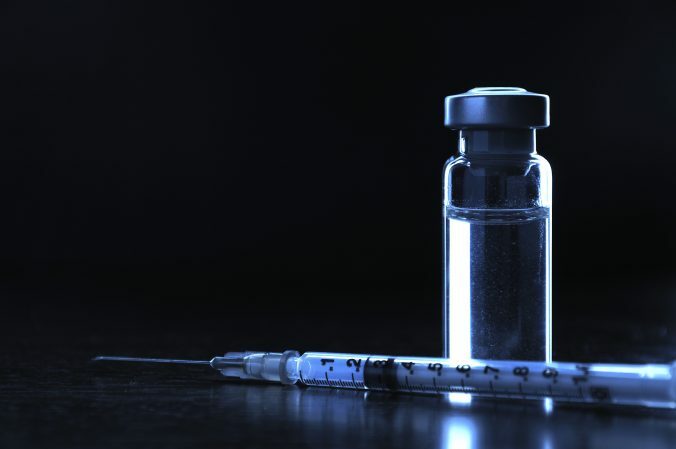 Second, less directly – by undermining herd immunity, which reduces the group of protected children and increases that of the susceptible people, non-vaccinating parents are making an outbreak more likely, putting everyone who is not protected at risk. In fact, unvaccinated people in an area with high rates are less at risk than vaccinated people in an area with low rates. Here (pdf) is a list of studies that examine both parts of this issue. No, when there’s a risk there must not always be a choice. When you’re choosing the bigger risk for your child over the smaller risk, the state doesn’t have to allow it. States do, however: they use school immunization mandates rather than direct coercion. Parents have a choice – though they may not like the alternatives. Hard choices are still a choice. More than that: when a parent is choosing for other children and their families, there’s even less justification to give free reign. By using school immunization mandates the state prevents parents from forcing a risk on other people who didn’t choose it. Previous PostPrevious Diet soda increases risk of stroke and dementia – does it?